Hi everyone! Fall has truly arrived and we feel it here in Montreal. The weather has only reached 12 degrees (53,6 Fahrenheit) today! But fall is such a beautiful season: we eat better, sleep better, the colors of the leaves are inspirational for creativity! My minds just can’ t stop creating, especially during this season. Actually, I like going to the park were I can sketch or write things…though my mind never stops creating through out the rest of the year, Fall keeps my mind grounded, calm and of course, I think that it as to do with the temperature or the shorter days. Now, let me introduce you to Faye, yes like Faye Dunaway. 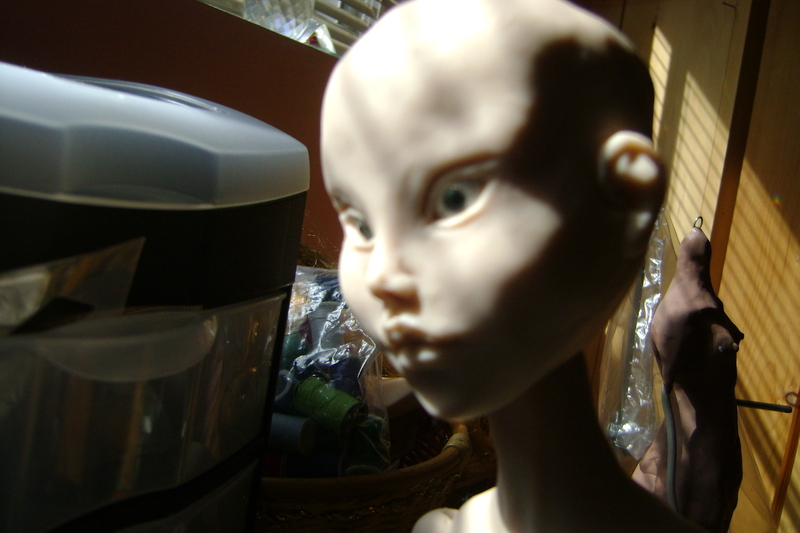 Faye is my second doll created earlier this year. 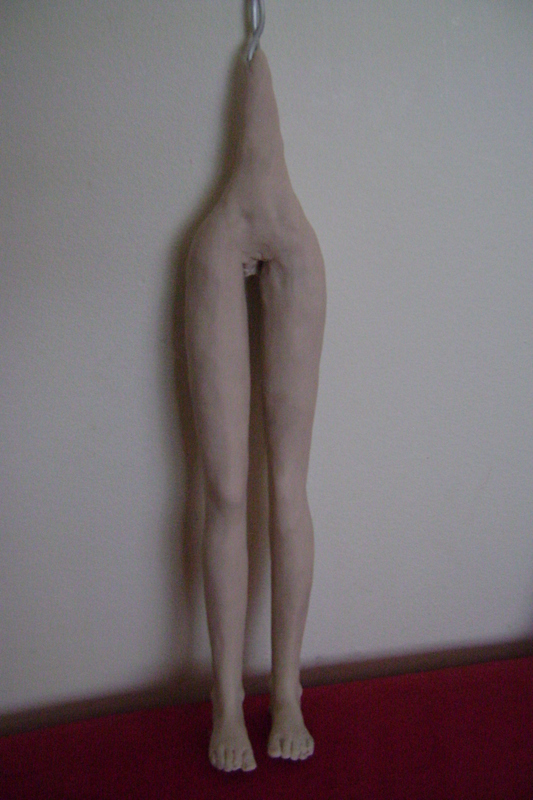 She was created in a mix of Prosculpt (baby) and Cernit (flesh) polymer clay. She is the first doll with Swarovski crystal handmade eyes that I made. 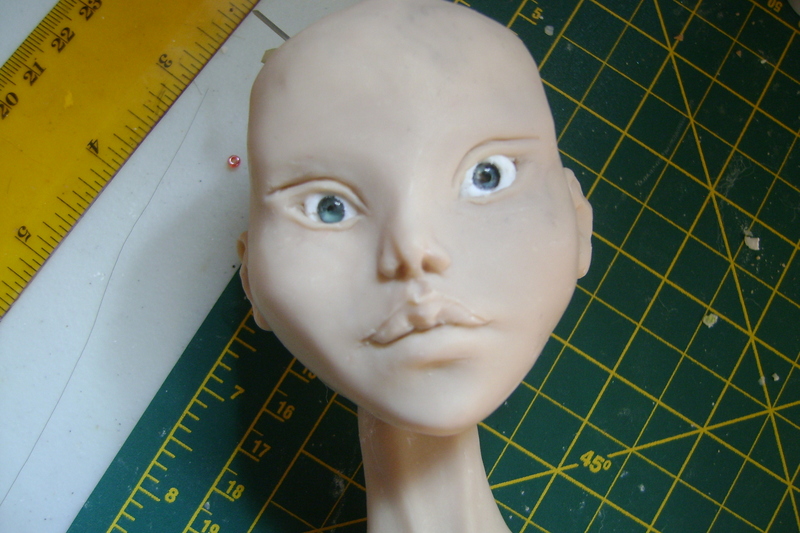 Since most of my previous dolls were young women, I sculpted her to have a baby face on purpose,with all her facial features sculpted closer and with bigger eyes. 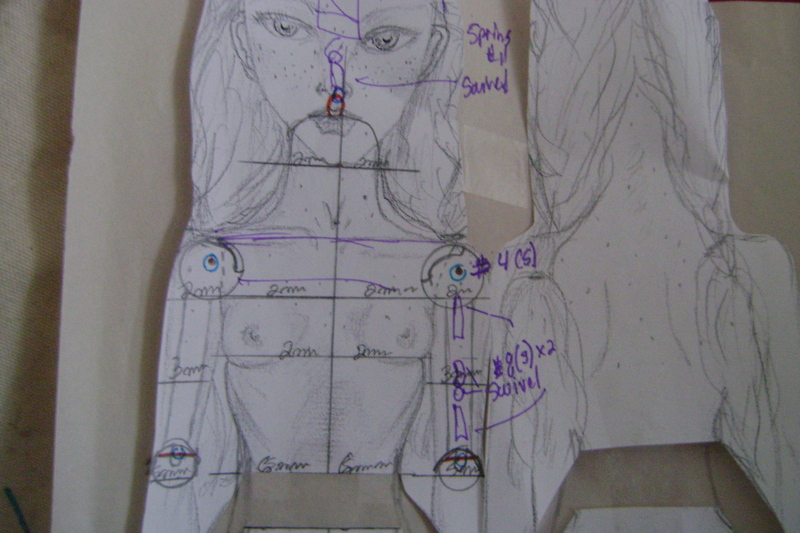 What is particular with her, is that she’s the tallest doll that I have ever made: 52 cm (20 ½ inches) tall! 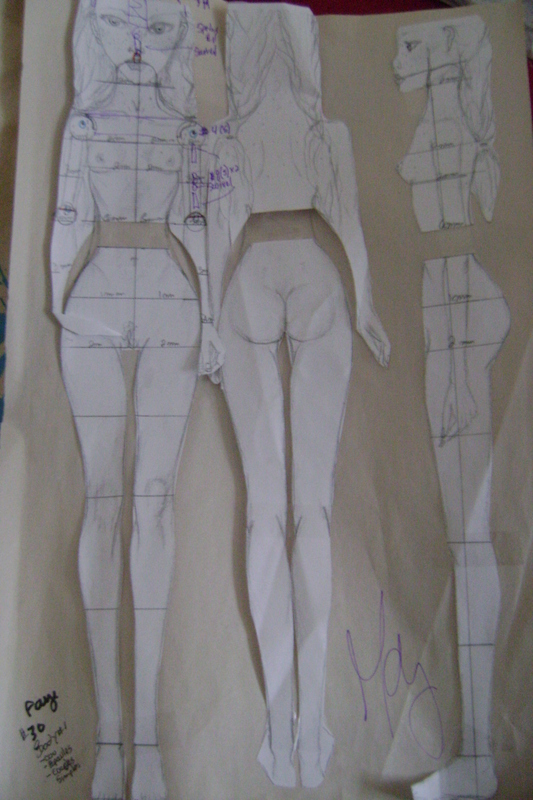 Though I really love big dolls, for me, Faye is way too tall! 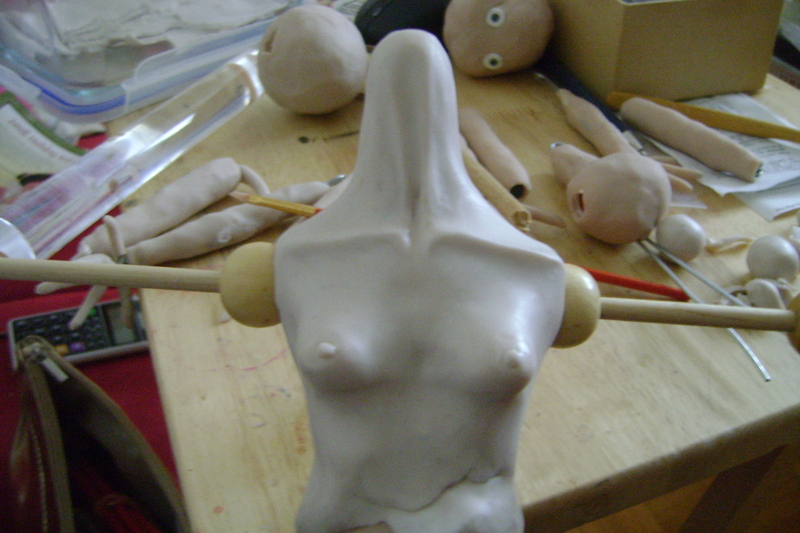 All along while I was molding her, I kept asking myself is will she turn out OK after baked…because of the weight of the clay, I was constantly worried. 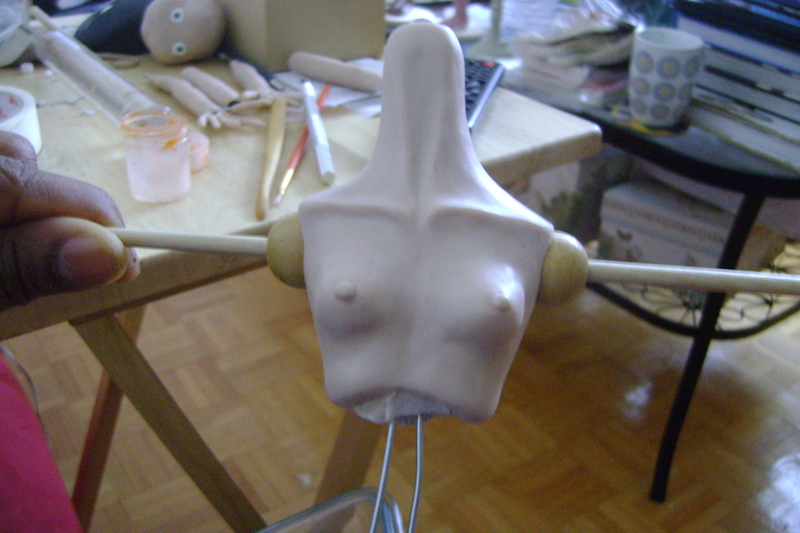 However, Faye turned out fine, in fact, she was better than I thought. 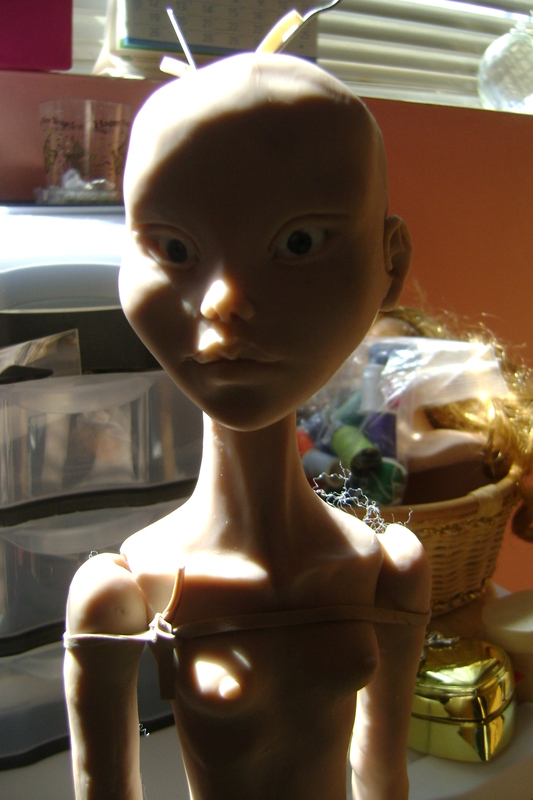 She is a bit heavy, but not as a few of my previous dolls. 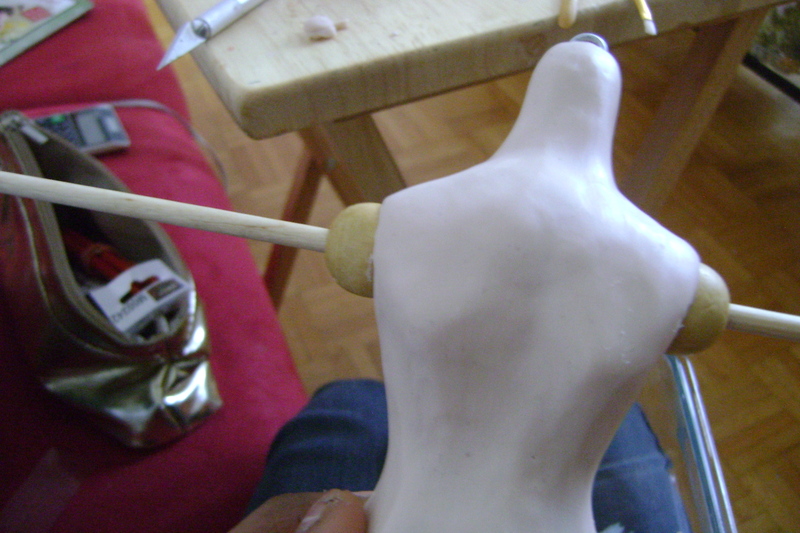 I think that it is due to the fact that I changed the way that I do my doll armature: aluminium wire instead of heavy metal wire. Before ending this post, since Faye is part of a three part post. 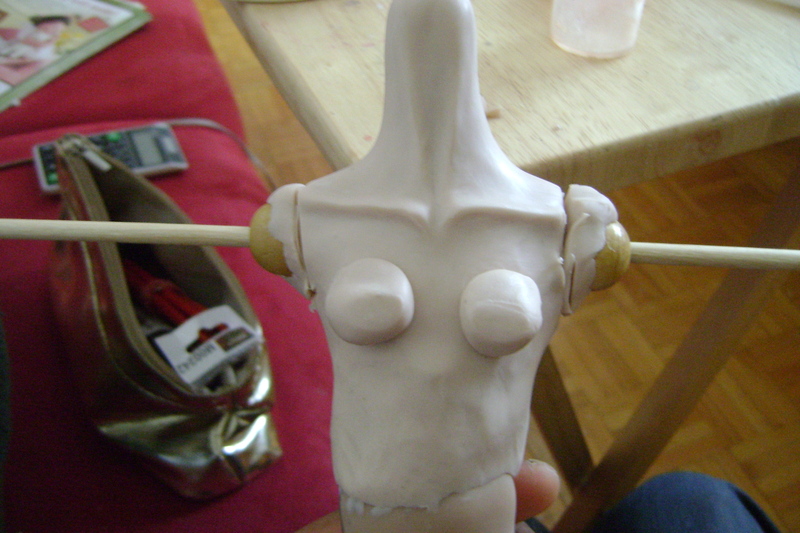 Tonight, I will only show pictures of her both before and after sanded and painted. Thanks/Merci to everyone and we’ll see each other tomorrow.